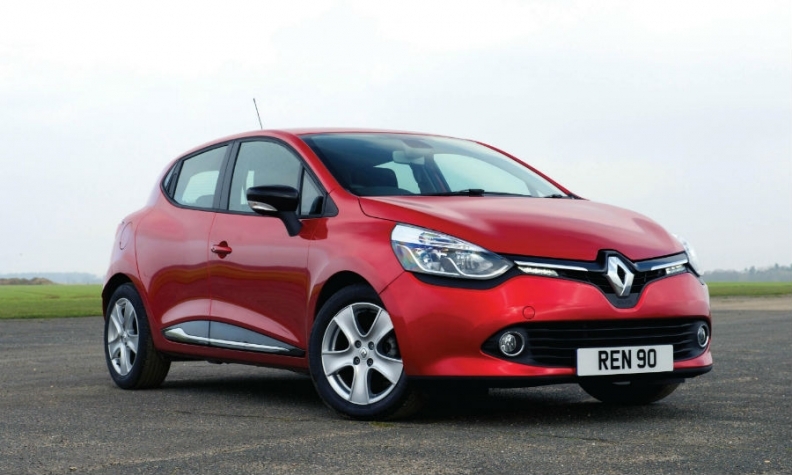 The Renault Clio, shown, will get an upscale version. RENNES, France -- Renault will launch its upscale Initiale Paris trim line on its Clio subcompact. The company will unveil a Clio Initiale Paris variant at the Paris auto show on Thursday. The car will go on sale shortly after the show, a Renault spokesman said. Automakers including Ford, with its Vignale top-end trim line, and PSA/Peugeot-Citroen, with its DS brand, are upgrading their models in Europe by adding premium features in a bid to attract affluent customers who find luxury brands too expensive. Renault has not given any details of the Clio Initiale Paris, but French media reports said it will have an upgraded interior with leather and high-quality plastics, improved equipment including heated seats and exterior design tweaks. The car likely will cost 3,650 euros more than the current highest price Clio, the reports said. Renault unveiled an Initiale Paris concept for its new Espace minivan at the 2013 Frankfurt auto show. Renault will unveil its latest Espace in Paris, but the automaker has not yet said when an Espace Initiale Paris will go on sale. The Initiale Paris program was championed by former Renault Chief Operating Officer Carlos Tavares, who is now CEO of PSA/Peugeot-Citroen, where he has upgraded the Citroen DS line to a stand-alone brand. Even after Tavares' departure, Renault is committed to expanding its upscale offerings with its Initiale Paris badge, Dominique Thormann, the carmaker's chief financial officer, told the Automotive News Europe Congress in June.